Share the experience of luxurious sleep. Your friends get $200 off their new mattress. Both you and your friend get a $25 Amazon gift card after your friend buys a mattress. Welcome to the Plush Life. With the DreamCloud Refer a Friend program, we made it easy for you to share the experience of luxurious sleep with your friends and family. It’s easy to gift the gift of premium rest. Just send your unique link to anyone you know who could benefit from deep, nourishing sleep. Not only will they feel like they are truly floating on a cloud each and every night, but they will get $200 off their purchase of a new DreamCloud mattress. After they receive their mattress, both you AND your friend get a $25 Amazon gift card to spend as you please. You can refer as many friends as you would like. For each friend that purchases a DreamCloud mattress, you and the friend get one $25 Amazon gift card. Just send your unique link to all of your friends. Not only will they will get $200 off their new mattress purchase AND a $25 Amazon gift card, but they will be able to experience sleep on the most comfortable mattress. IF I JUST TELL A FRIEND AND THEY BUY A MATTRESS CAN I STILL GET A GIFT CARD? No, your friend has to make their purchase on www.dreamcloudsleep.com after clicking your Refer a Friend program link. 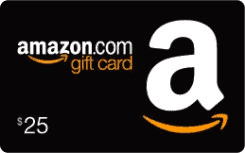 We encourage you to tell as many friends as possible, but we can only send you and the friend a $25 Amazon Gift Card if they use the link. We send you and the friend a $25 Amazon Gift Card which will be paid out one week after the referred friend receives their mattress.